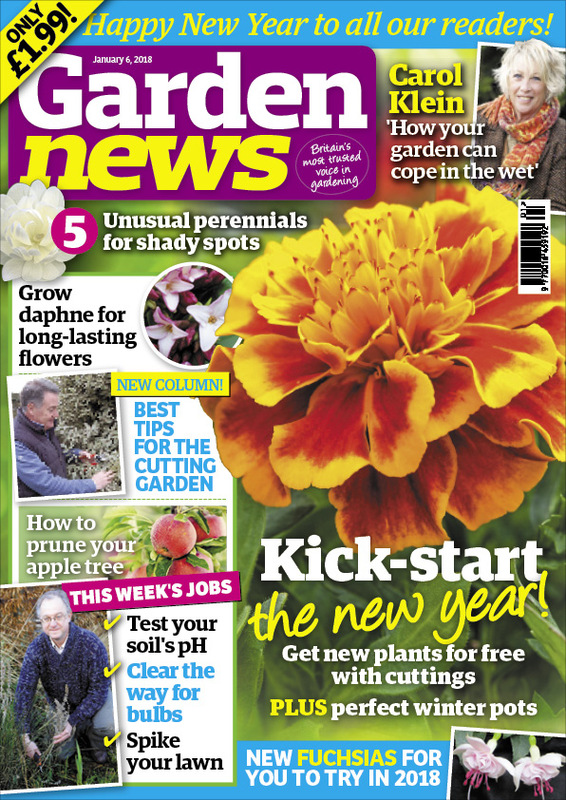 This Week’s Features: Start the new year with new plants for free and Plant the perfect midwinter pot. Carol Klein explains how too much water can still be a planting paradise. Our Garden of the Week is a garden created with wildlife in mind - a walled London garden with a wealth of birds, pollinators, foxes and a stream full of toads. The Garden News Team are testing the garden soil to grow the best plants to suit your plot, clearing the way for emerging bulbs and pruning currant bushes. Garden News Expert Contributor: John Nicholass shows us the new fuchsias for 2018, for top summer displays.